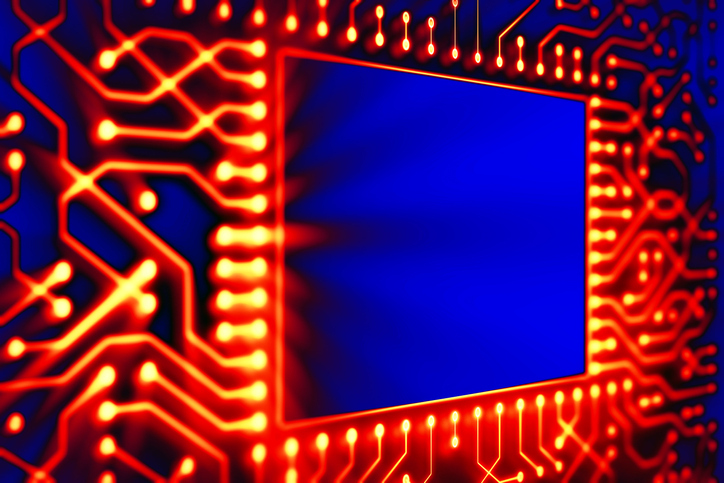 Guard-banding for heat is becoming more difficult as chips are used across a variety of new and existing applications, forcing chipmakers to architect their way through increasingly complex interactions. Chips are designed to operate at certain temperatures, and it is common practice to develop designs with some margin to ensure correct functionality and performance throughout the operating temperature range for its expected lifetime. 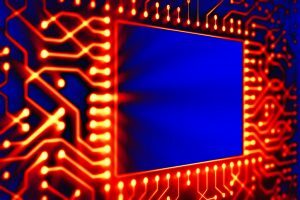 That approach is becoming less effective, though, particularly at advanced nodes and in designs where some processing elements are always on or chips are running at full speed, such as in AI chips inside of data centers or in edge devices that rely on a battery. And in the automotive space, carmakers are pushing suppliers to mitigate stress and electromigration, which can shorten the lifespan of parts. As a result, design teams are beginning to shift from just throwing more circuitry into a design. While guard-banding is still used, it needs to be more carefully defined and precise, and it needs to be used in conjunction with more accurate thermal sensing and different thermal management schemes. Thermal guard-banding comes into play in multiple places in the design. For example, thermal monitoring circuitry has a certain amount of error, so designers frequently add circuitry to compensate for these errors. But that reduces performance and throughput as frequency throttling, circuit shutdown and other thermal management techniques are applied at more conservative temperatures. And it raises the overall cost due to over-design. Allen cited an example involving two different temperatures sensors, both uncalibrated, one slightly more accurate, one slightly less accurate, by using a temperature scale of die temperature, there is target temperature of 85°C. Power management software can be set to take action, whether to slow down clock frequencies in order to bring the temperature of the device down or possibly to set a thermal/temperature alert within the software, he explained. By adding a good temperature sensor, it is possible to if the lowest set point for software at 81°C, while for a less accurate sensor it would be 75°C. By using a slightly better temperature sensor in this case, 6°C of die temperature could be saved. And depending on architecture and application, this 6°C better accuracy could equate to between 5 and 10 watts of power savings, Allen said. Accounting for a certain margin of error is not a new concept. In fact, the approach dates back to the early days of RF design. Applying this concept to temperature variation is a more recent innovation. Prior to the introduction of finFETs, the biggest heat-related problem in design was from current leakage. The first generation of finFETs plugged that problem, but created another—dynamic power density. As heat becomes trapped in the fins of these 3D transistors, it can create thermal runaway, a problem made worse at 10/7nm as leakage current begins to creep up again and resistance/capacitance raises the temperature in wires. Add to that various sources of variation, new application areas, increasingly heterogeneous architectures and new use cases and thermal management becomes a much more difficult problem to solve. But in most of these cases, simply adding more circuitry doesn’t help, and in some cases it can make the problem worse. Heat also has a big impact on the reliability of chips. Researchers at the German Karlsruhe Institute of Technology recently published a technical paper, “Dynamic Guardband Selection: Thermal-Aware Optimization for Unreliable Multi-Core Systems,” in which they asserted that circuit aging has become the major concern in existing and upcoming technology nodes. According to the paper, bias temperature instability (BTI) leads to an increase in the threshold voltage of a transistor, which in turn may prolong the critical path delay of the processor and could lead to timing errors. The researchers determined that in order to avoid aging-induced timing errors, designers should insert guard-bands either with respect to voltage or frequency. In effect, guard-banding is still useful, but it needs to be applied differently and more opportunistically. The reason is that different workloads have different impacts on heat and ultimately system performance, which in turn can require different types of guard-bands. The researchers propose that guard-band types should be selected on-the-fly with respect to the workload-induced temperatures aiming at optimizing for performance under temperature and reliability constraints. Also, different guard-band types for different cores can be selected simultaneously when multiple applications with diverse properties indicate this can be useful. The researchers believe their dynamic guard-band selection allows for a higher performance compared to techniques that employ a fixed (at design time) guard-band type throughout. This introduces another aspect of transistor design, namely the physics of transistor aging and transient power impacts. This is where an on-chip temperature sensor would be very useful. Cadence is working now from the engineering side to solve it all: transient impact, dynamic power and thermal all together in a simulation tool that accounts for the everything from the chip, to the package, to the system, Kao added. Similarly, Wang noted that Mentor’s chip-package-system thermal solution allows designers to simulate the thermal impact on a design early in the design phase through to design sign-off. Guard-banding is a well proven way of accounting for different use models, variation and unexpected interactions in a design. But as architectures and priorities change in technology, and as these chips migrate to the most advanced nodes, or in complex packages where not everything is fully characterized, just throwing more margin at a problem often doesn’t produce the desired result. Margin is additive, and guard-banding increasingly is part of the overall budget for power, performance and area for an entire system. As such, it needs to be applied with more precision and in exactly the right place at the right time. That makes it much harder to guard-band a design, while at the same time also making it more essential in some cases. Contacts and interconnects becoming more problematic at each new node, but with fixes come tradeoffs. As a temperature measurement equipment supplier, using Non-Contact Infra-Red, this is very interesting. Be careful of convection effects though. Be very careful of “shiny ” metal surfaces too.